Wedding rings on the Eiffel Tower. 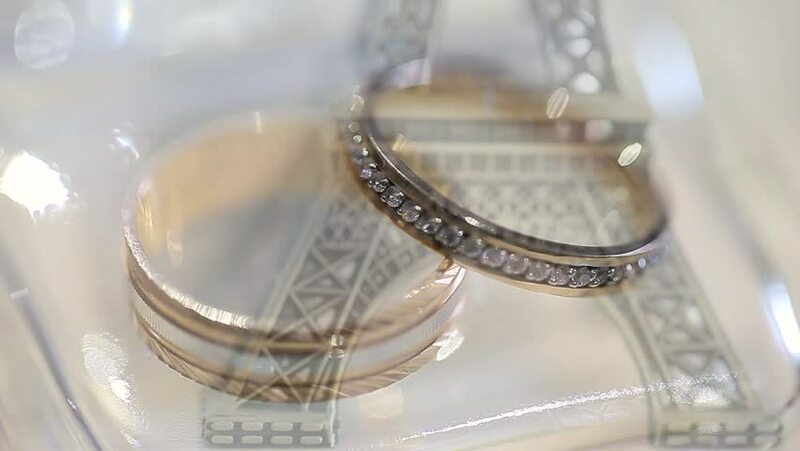 Wedding rings lie on the Eiffel Tower. Symbol of Paris. hd00:20Wedding rings. Wedding rings lie on a transparent stone. hd00:07Holiday eggnog cocktail with dark rum and milk garnished with nutmeg. hd00:14Light liquid is bubbling in a flask under laboratory conditions. Quality control in the laboratory at factory of sparkling wines. Flask is heated with large temperature on the stove in laboratory.